This post contains Amazon Affiliate and other Affiliate links. My goal as a parent is to raise un-entitled, capable, and grateful kids. Often the path to reaching that goal is a bit confusing for me as a mom. There are so many skills that my kids need to learn in order to reach that goal that I sometimes get overwhelmed trying to figure out what to teach when and how to prioritize. Today I want to share a few tips I've learned from Amy McCready's new book "The Me Me Me" Epidemic: A Step-By-Step Guide to Raising Capable Grateful Kids in an Over-Entitled World regarding how to raise un-entitled kids. If you're unfamiliar with Amy, she has been my awesome partner over the past several years as we have offered free Positive Parenting webinars for our Toddler Approved community. She is a champion of positive parenting techniques to create happier families and well-behaved kids and our family has benefitted tremendously as we've applied her positive parenting strategies in our home. Amy's new book "The Me Me Me" Epidemic shares 35 proven tools to help parents raise their children to become confident, resilient, and successful. One of the the things that stood out to me the most in her book was the importance of teaching our kids resilience. Resilience relates to teaching our kids to recover from failure and helping them learn that failure isn't the end. Amy cautions, "If you've never failed, tried again and found success, you'll be much more likely to give up at the first sign of failure." Teaching kids to persevere and learn from failure is critical. Kids who never fail will feel entitled to smooth sailing all the time. Allowing kids to face failure in small ways at young ages and preparing them to fail can set them up for success. Be available to listen and empathize when your child does fail... and offer solutions/suggestions... without swooping in to rescue them. Kids will fail and it is important that we recognize that and prepare for it. The strategies shared above are just a few that Amy mentions in her book that I've been trying to put into practice in our home. Modeling a healthy attitude and learning to let go when something disappointing happens is probably the hardest for me! In "The Me Me Me" Epidemic Amy reminds us that "Each failure can be a lesson to your kids that they are not entitled to the best of life, whether they try hard or not- but that they are entitled to your love and support no matter what." By helping kids create healthy attitudes instead of entitled ones, parents can successfully raise un-entitled kids in a pretty crazy world. In her book Amy shares how to set limits with consequences and train kids to behave responsibily and make good decisions. Amy uses positive strategies and teaches parents how to get their kids helping more around the house, solve disagreements respectfully, take responsibility for their actions, and be contributing members of the family. 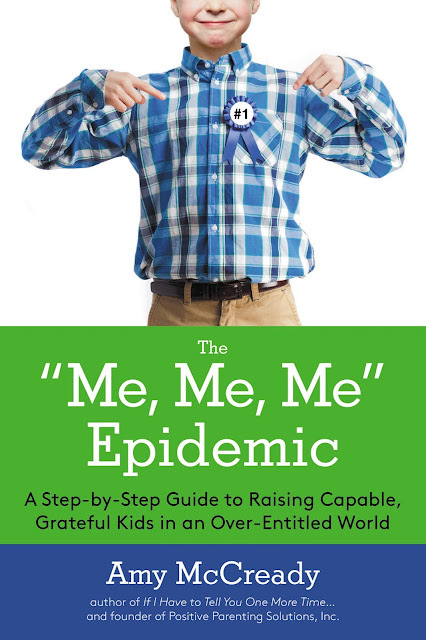 Reading and re-reading "The Me Me Me" Epidemic: A Step-By-Step Guide to Raising Capable Grateful Kids in an Over-Entitled World has been the highlight of my summer. I feel armed with tools (35 of them :)) to get my kids on a better track and help them be more self-reliant and happy. Amy's new book will be released on August 11th and you can PRE-ORDER it HERE now. Don't miss out on this awesome opportunity!! Learn more about the FREE coaching opportunities HERE. 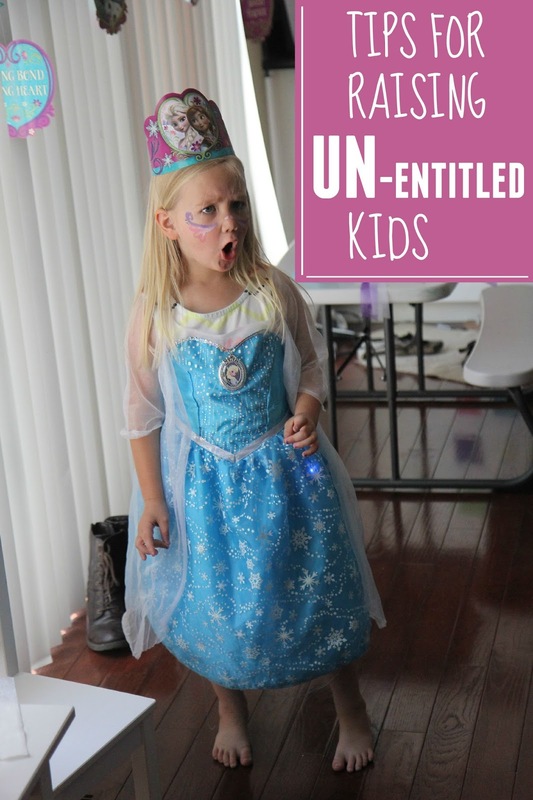 Do you have an entitlement problem in your house? Do you over praise? Give in? Do too much for your kids? Swoop in and rescue your kids before they can fail? If you answered yes to any of those questions... you might want to check out this book. Disclosure: Amy McCready provided me with a free review copy of "The Me Me Me" Epidemic. All opinions shared in this post are my own. I'm really in need of some advice. I'm the mother of a three year old boy and a one year old girl. Tonight, I feel like I'm at my wits end. My son seems extremely aggressive towards me and my daughter although less so towards her. Tonight, he bit, punched and pinched me in the span of an hour. I was beside myself and in tears. My husband and I never yell at each other and I always try not to raise my voice with my son although sometimes I will admit a harsh tone has crossed my lips. We have tried time outs in a chair, putting him in his room and neither of those has worked. It just seems to get him more angry. I have though of making him one of those time out bottles but feel like it would most likely just become a weapon. I have spoken to his daycare provider and he is not this way there. He is not this way with his Dad either. I could really use some suggestions. Thank you so much, Wits end Wendy. My first thought is that your son may be acting out toward you because he is feeling resentful about the relationship between you and your daughter. Usually the baby doesn't "get in trouble" and gets lots of extra help and attention, which can be tough for a little guy. The aggression may feel like the main problem, but it is probably a symptom for feelings he cannot recognize or express. I would suggest trying to give him lots of positive attention whenever possible. Just really focus on him as much as possible and try noticing when he is doing something positive (even if that is just playing quietly for a minute). Also, I would try to give him some opportunities to help with "big kid" stuff like helping you cook or using the dust buster. This will build him up and make him feel special. When he is aggressive remain calm and remove him from the situation quickly with just a one sentence reminder of the rule (we do not hit). I know its such a challenge, my own son was 3 when my daughter was 1 and things vastly improved once she was two and he was four. Good luck! I'm sorry that your family are going through a rough time right now. Not knowing what the catalyst is for his anger, it's hard to give advice, but I don't think isolating him is the solution. Have you ever visited Janet Lansbury's respectful parenting site or read anything positive discipline/RIE books? I highly recommend going there for some advice and inspiration: http://www.janetlansbury.com/category/parenting/ In the mean time, perhaps you can try to spend some more individual time with him without his sister. Good luck!